The staff at Lowe Funeral Home & Crematory, Inc. recognizes that preservation of our environment is extremely important, and this commitment extends to every aspect of our lives, our recreation, our work, and even our passing. Lowe Funeral Home & Crematory, Inc. is one of a select group of funeral providers approved by the Green Burial Council (www.greenburialcouncil.org); a nonprofit organization that encourages the use of burial as a means of facilitating the restoration, acquisition, and stewardship of natural areas. For such arrangements, formaldehyde-based embalming is prohibited as is the use of metal or concrete grave liners, burial vaults, or other permanent burial containers. 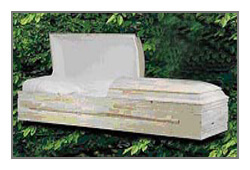 Caskets used to enclose and transport the dead are made of bio-degradable materials and are available in a range of prices. In order to provide our clients the availability of natural (“green”) burials, Lowe Funeral Home & Crematory, Inc has tailored a specialized funeral option. This option may or may not employ any treatment (embalming with topical sprays / compounds or use of essential oils) of the body. This is one of the options because of the availability of refrigeration units at Lowe Funeral Home & Crematory, Inc., we are able to preserve the body to provide time for family and friends to gather for the service. 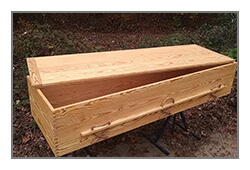 Lowe Funeral Home & Crematory, Inc has partnered with the Matthews Casket Company and others to utilize natural caskets built of pine. There is no metal in the caskets, which utilize wood dowels and non-toxic wood glue, with straw bedding. Lowe Funeral Home & Crematory, Inc. further provides families with the option of opening and closing the grave themselves, or, if they prefer for Lowe Funeral Home & Crematory, Inc. to arrange for digging the grave utilizing a backhoe. Note that a Green Funeral cannot be completed at some cemeteries: a true green funeral precludes and prohibits the use of a permanent outer burial container. But most cemeteries do require vaults, which are built of more permanent materials and are not biodegradable.